JNU Admission 2019: JNUEE, Application Form, Exam Date, Eligibility, How to Apply - Apply from here! HomeARTICLESJNU Admission 2019: JNUEE, Application Form, Exam Date, Eligibility, How to Apply - Apply from here! JNU Admission 2019 Exam Dates has been released. JNU (Jawaharlal Nehru University) came into existence in the year of 1969. JNU offers admission in a wide range of courses in the field of computer science, engineering, arts & humanities, life science, etc. 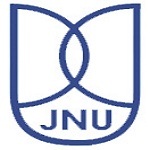 Students have to clear the JNU entrance exam 2019 (JNUEE) to get admission in various courses offered by JNU. It also organizes CEEB exam for admission in biotechnology courses. Here we are providing details about JNU Admission 2019 including dates, application, eligibility, etc. Note: Due to a change in JNU entrance examination process, the announcement of e-prospectus / application process have been delayed. Applications will be invited only through online mode. Candidates can apply upto a maximum of three fields of study of their choices. JNU admission form will be released from the month of November 2018. Students are required to upload the scanned images of photograph and signature in prescribed format. The university will also provide the JNU Application correction facility in the application form. There is no need to send the printout of the filled in application form to the university. Students can pay the application fee through online mode only. Payment will be done via debit card, credit card and net banking. BA (Hons) 1st year 12th or equivalent exam with minimum 45% marks. Appearing candidates can also apply. Candidates must have adequate proficiency in the concerned language. M.Sc in Life Sciences B.Sc. or B.Tech or equivalent in Biological, Physical or Agricultural Sciences or Biotechnology. MCA Bachelor degree in any discipline with a good knowledge of mathematics. P.G. holders of AYUSH related subjects are also eligible to apply. Candidates must have 55% marks in the qualifying exam. 1 mark will be given for correct answer. M.Tech in Computer Science and Technology 100 multiple choice questions asked in the exam. 1 mark will be awarded for correct answer. 0.25 mark deducted for wrong answer. M.Tech in Statistical Computing Comprises of two parts, i.e. Part A & Part B.
MA in Economics Question paper pattern will be objective and subjective both. Part A will contain objective type questions and Part B will contain short and long problems/questions. M.Sc in Life Sciences There will be objective-type with multiple choice answers. Each question carries equal mark. BA (Hons) 1st year in Foreign Languages Question paper will be asked in English language. Questions will be both objective and subjective type. Exam will be conducted in offline mode. B.A. (Hons.) 2nd year in Foreign Languages The question paper will be subjective. Topics will be asked form grammar, literature, etc. of the respective language. General aptitude, reasoning and 10+2 and Bachelor’s level mathematics and Computer Science. General aptitude, reasoning and Bachelor’s/Master’s level Mathematics and Computer Science. The part A will comprises of General aptitude, reasoning, and Bachelor’s/Master’s level mathematics, Statistics and Computer Science. Part B will contain topics from data science/data communication stream. It will contain topics like Micro-economics, Descriptive Statistics, Problems of Economic History, Underdevelopment and Growth, etc. No specific syllabus designed. Students can follow the UGC approved syllabus in their respective subjects for guidance. It will contain questions from general knowledge, artificial language, short essays on issues related to the subject. Students must gather all the details about the officially prescribed syllabus. Prepare a time-table for JNU Exam preparation as per your suitability. Practice from the best reference books and study material available in the market. Also practice previous year question papers to get familiarize with the exam pattern. Prepare short notes and revise them at the end time of preparations. The JNU 2019 admit card will be provided to students through online mode. It will be released in the second week of December 2018. Candidates have to bring admit card along with a latest passport size photograph at the exam centre. Only those candidates will be permitted to appear for the exam whose names appear in the Roll List available with the JNU Representative(s). JNUEE result 2019 will be declared in the fourth week of February 2019 for viva voce courses. After the completion of viva a merit list will be prepared. JNU merit list will be published in the month of March 2019 for other courses and April 2019 for viva voce courses. Candidates will be able to check their results through online mode only. JNU admission process will be started from the month of July 2019. Students can apply for admission according to their obtained rank or merit. Candidates whose name will appear in the merit list have to register for admission. Students also have to pay the seat acceptance fee at the time of registration for admission. The fee will be Rs. 295/- for Ph.D., M.Phil./Ph.D, Rs. 10,174.50 for PGDE, Rs. 283/- for M.A./M.Sc./M.C.A, B.A. (Hons.) and Rs. 234/- for part time courses. Candidates are required to bring the necessary certificates along with photocopies at the time of admission. If you have any other queries about JNU Admission 2019, you can leave your queries below.